As well as reviewing cases I try to swap out my own system every 12 months or so to get a better feel for cases I like. They're not necessarily the best at cooling or the best-looking, but being me, usually involve small form factors and water cooling support. However, even though I tend to stick to smaller cases, I still see the same issues cropping up regarding ventilation and cooling as I do in larger cases I have hands-on with, as well. 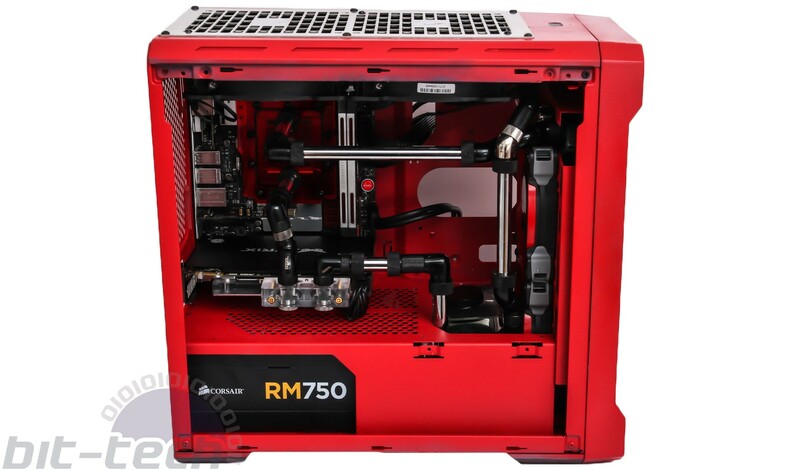 Specifically, the issue of case manufacturers sacrificing cooling for aesthetics spans all form factors and even price ranges, too. The issue has become even more concerning thanks to the use of tempered glass on case panels, in particular the roof and front sections. It certainly looks great, but the fact is that getting rid of vents in place of glass or even covering vents with a glass panel and allowing only small gaps for air to be drawn into the case. There's no getting around the fact that this hampers cooling, yet there are no signs that this craze is abating or ways around it is being found. There are plenty of examples out there. Corsair's Crystal Series 280X RGB looks fantastic, but the ventilation pales in comparison to its predecessor due to the use of tempered glass on every one of its intake panels. The result was the second-highest CPU temperature we've seen in a small case using our tower cooler small-form-factor test gear, and the GPU temperature was nearly 10°C warmer than the best-performing micro-ATX case on test. It's a great-looking and well-featured case, but despite the fact I used its predecessor - the Air 240 - as my main system case a while back, I have reservations about doing the same with the 280X. it would be unfair to single out Corsair here, of course, and there are plenty of cases where the inclusion of tempered glass impacts on cooling. However, it's not just this addition that has led to poorer-than-expected cooling results. 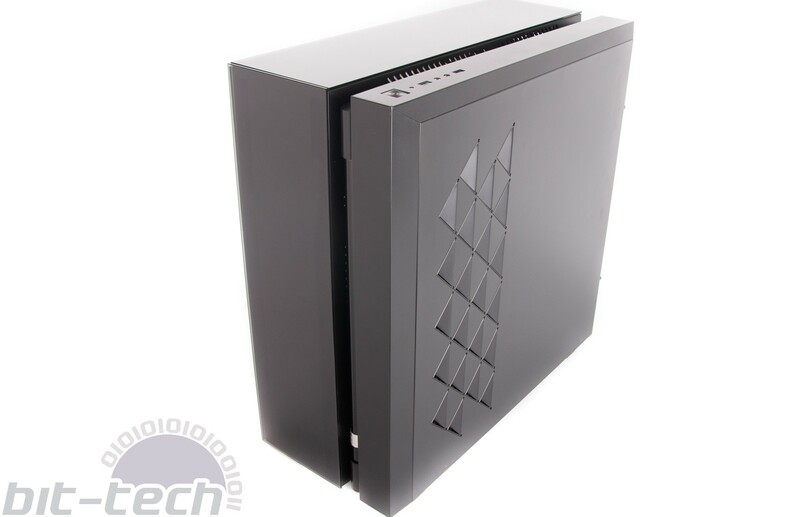 The exhaust perforations in cases such as the In Win 303 and Deepcool Gamer Storm New Ark 90 are reasons I probably wouldn't own either of these cases... and the former I really do like in terms of its layout and design. The fact these features reduce airflow in key locations - the In Win 303's side fan vents are the perfect location for a radiator - means that despite their edgy designs that really appeal to me, they wouldn't be top of my list for a high-end, liquid-cooled PC. I can go on, though, as I also have issue with many of Phanteks' cases. I've had my own personal system inside the Phanteks EVOLV ITX and cooling was so poor I had to cut a big vent in the roof, which eventually made a home for a 280mm radiator. Coupled with a 240mm radiator in the front, the result was monstrous cooling, although even the front was hampered by Phanteks' continued use of metal plates on its EVOLV cases' front sections. Once again, the EVOLV ITX languished at the bottom of our cooling charts due to its ridiculously small roof vents and poor front ventilation and the only reason I bought it was at the time there were few other options for a tower mini-ITX case, plus I was planning on modding it eventually anyway. I freely admit that even I am taken in by the aesthetics of many of Phantek's EVOLV cases, but they often perform poorly when it comes to cooling. Another case in point is the EVOLV Shift. Again, it sits at the bottom of our cooling graphs by some margin, but that hasn't stopped me using it for my next modding project and main personal rig. However, yet again, I'm having to mod it extensively not just to get acceptable cooling, but to make way for more water-cooling components. I don't mind modding my case of course, because I've been doing it for 15 years, but the issues with many cases is not only that the cooling is massively restricted due to aesthetic traits, but a few simple changes wouldn't impact on the design too much, yet would drastically improve cooling. Phanteks, for example, could make the EVOLV Shift slightly wider and ditch some of the lumps and bumps in the main chassis to allow 240mm radiators to be installed. It may seem like heresy to Phanteks' case designers, but the first thing I'd do is add a few holes to the side panels where the fan mounts are. Indeed, the company has recently begun offering 'Flow Edition' models, with hexagonal holes cut into the front panels on cases such as the EVOLV ATX Glass and this can only help airflow. Similarly, Corsair could raise the glass panels on the roof and front on its 280X by a few millimetres and increase the size of the size vents and I bet this would improve its lacklustre cooling. At the moment, I don't see too much wrong with comparatively poor-cooling cases such as the 280X getting awards. After all, it's a great-looking case and has plenty of features and your hardware will still be kept out of trouble cooling-wise. However, we'll have to draw the line somewhere if the cooling performance drops further, but I'm hoping case manufacturers will step up and make these design tweaks so we don't have to get our angry caps on in case review conclusions. More cooling, less drooling please, chaps.